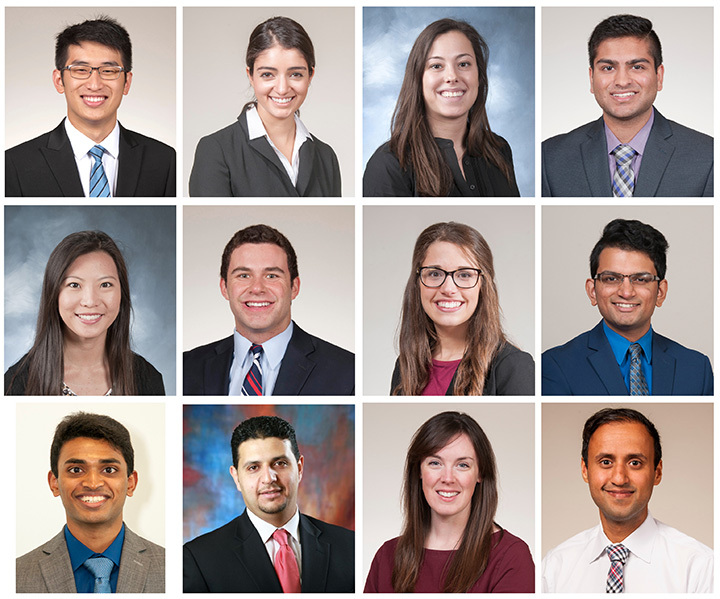 The School of Medicine Student Research Program has awarded 12 Sarah Morrison Student Research Awards for the Fall 2018 cycle. Recipients included nine medical students and three graduate students. Sarah Morrison awards of up to $2,500 are presented to School of Medicine students each year in April and October. The awards help students become involved in and learn about a wide variety of research activities based on their interests. The research may be in the basic sciences or in clinical medicine. Students may develop their own hypothesis and work plan or work on an established research project with their mentor. Winners of the awards are expected to present the results of the research at a School of Medicine student research event such as the UMKC Health Sciences Student Research Summit) or a similar venue as recommended by Research Administration. More than 100 students have received Sarah Morrison awards since 2013 with an estimated $155,000 of financial support provided from the program to conduct research projects at the School of Medicine. The next application deadline for students interested in receiving a Sarah Morrison research award is March 1 for the April award. Applicants are reviewed by a committee of faculty judges and processed through the Office of Research Administration. For complete application information, visit the student research website. Jonah Graves, Jonathan Jalali, Kelly Kapp, Landon Rohowetz, Subhjit Sekhon, Mehr Zahra Shah, Yevgeniy Khariton and Krishna Patel. The School of Medicine Student Research Program has announced six medical students and two students from the biomedical and health informatics program as recipients of the Fall 2017 Sarah Morrison Student Research Award. The awards support student research efforts and help fund presentations at conferences and scientific meetings. 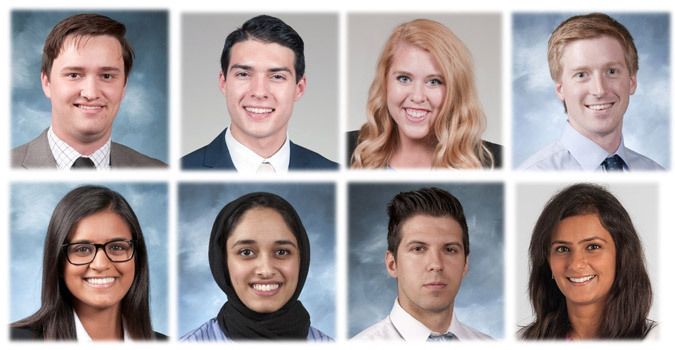 Medical students who received the awards are Jonah Graves, fifth-year; Jonathan Jalali, third-year; Kelly Kapp, sixth-year; Landon Rohowetz, fourth-year; Subhjit Sekhon, fifth-year; and Mehr Zahra Shah, fourth-year. Two recipients, Yevgeniy Khartion and Krishna Patel, are graduate students in the school’s Department of Biomedical and Health Informatics. Sarah Morrison awards of up to $2,500 are presented each year in October and April. More than 100 students have received an estimated $104,669 in financial support from the program to conduct research projects at the School of Medicine. Students interested in the Sarah Morrison awards are encouraged to apply prior to the April 1 and Oct. 1 deadlines each year. Applicants are reviewed by a committee of faculty judges and processed through the Office of Research Administration. Recipients of the April 2017 Sarah Morrison student research awards are (left to right) Jessica Kieu, Shipra Singh, Vishal Thumar, Komal Kumar, and Katherine Suman. Five School of Medicine’s students have been selected by the Student Research Program to receive Sarah Morrison Student Research Awards. The awards support support research efforts and help students fund their presentations at conferences and scientific meetings. The April 2017 recipients are Jessica Kieu, fourth-year medical student, Komal Kumar, fourth-year medical student, Shipra Singh, fourth-year medical student, Katherine Suman, sixth-year medical student, and Vishal Thumar, sixth-year medical student. Sarah Morrison award recipients are reviewed by a committee of faculty judges and processed through the school’s Office of Research Administration. Awards of up to $1,500 are presented each April and October. Since 2013, students have received more than $61,000 in financial support from the Sarah Morrison program to support research projects at the School of Medicine. Students interested in the Sarah Morrison Research awards are encouraged to apply prior to the April 1 and Oct. 1 deadlines each year. For complete application information, visit the Office of Research Administration’s student research website.